Beaded Fabric Fall Leaf Ornament, by Giftcraft. Possibilities are endless with this satin fabric leaf ornament! Covered in a layer of clear glass microbeads for a little bit of shimmer. 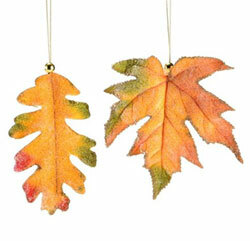 Hang in a window, scatter on a table, decorate bare branches or a feather tree... Sold individually - Choose the Maple shaped leaf (right) or the Oak shaped leaf (left). Measures approx 4-5 inches. Priced per leaf. BelieveNostalgic Christmas Mug, by Giftcraft. 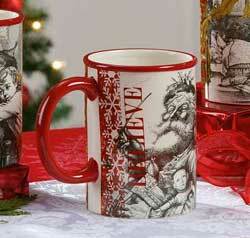 Features a black and white vintage santa image accented with a colorful holiday pattern, and text reads Believe. Measures 5.4 x 3.5 x 4.7 inches. 14 ounce capacity. 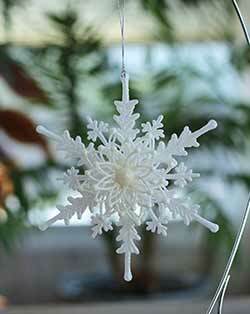 Glass Bird Ornament, by Giftcraft. Mercury-style glass with feather tail. 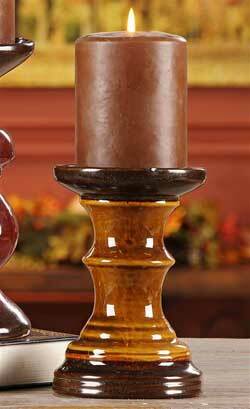 Sold individually from the three colors shown - Choose the Champagne (left), Gold (middle), or the Brown (right) ornament. Measures approx 6.5 x 2 x 3 inches. 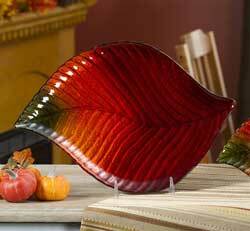 Large Glass Leaf Plate, by Giftcraft. 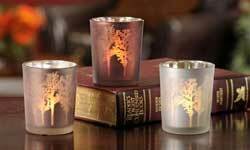 Use for treats, candles, or trinkets! Measures 15 x 11 inches. Made of pressed glass. 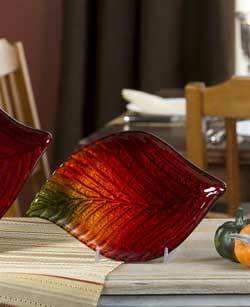 Small Glass Leaf Plate, by Giftcraft. 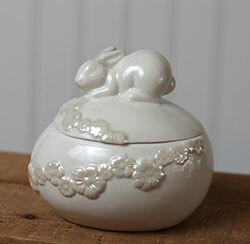 Use for treats, candles, or trinkets! Measures 9.5 x 7 inches. Made of pressed glass. Just a Job Mug, by Giftcraft. 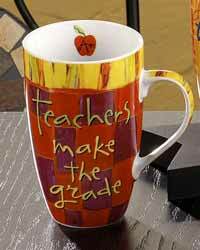 Featuring the whimsical artwork of Joyce Shelton, these colorful ceramic mugs make great gifts! This mug has an image of an apple on the inside that reads: A+. 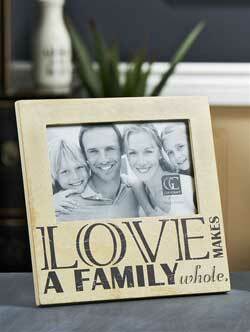 Love Makes a Family Frame, by Giftcraft. Cream wooden frame with vintage-style text, intentionally aged slightly for a rustic look. This one reads: Love makes a family whole. Frame measures approx 8 x 8 inches. Hangs or sits. Made of wood and paper decoupage. 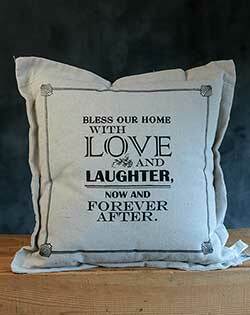 Part of the Living Quotes Collection - other items also available! 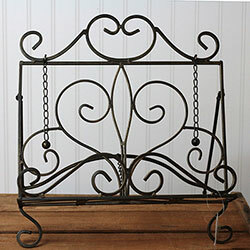 Metal Table Book Rack, by Giftcraft. Make it easier to read your recipe with this simple but elegant cookbook stand. Measures 13.8 x 10.5 x 14 inches. Made of metal. 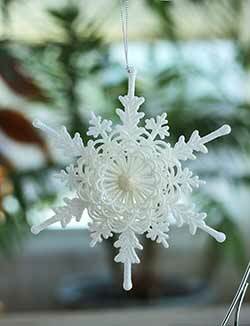 Add a spot of winter glitz to your holiday tree with this super sparkly snowflake ornament, with ornate dimensional flower in the center. Squirrel Figurine, by Giftcraft. 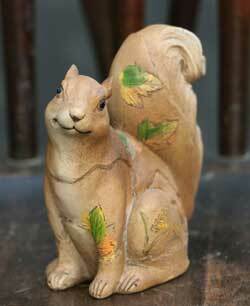 Beautiful squirrel figure carved and painted with leafy designs. Measures approx 4 x 2 x 4 inches. Made of polystone. 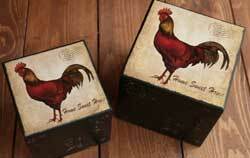 Wooden Rooster Box, by Giftcraft. Use this wooden box to store your special little things, or just set out for display! Made of wood with decoupage design of a folk art rooster. Reads "Home sweet home." Sold individually - Choose the Smaller or Large Box. Smaller box measures 5 x 5 inches, larger measures 6 x 6 inches.